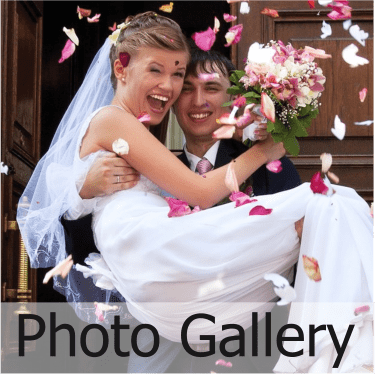 As every wedding is different, it is difficult to set a definitive cost. Inquire today for my all-inclusive rate of $695 – $795. If you just want to get married mid-week and elope, check out Springfield Elopements for low cost, no fuss, stress free option. Book a wedding Monday – Thursday and save 10% on the regular fee. Please quote you saw this on michaeljanzcelebrant.com.au to claim your saving! * Discount not available on long weekends or public holidays. Limited Time! If you are seeking a legals only, elopement style ceremony with just witnesses, further saving can be made. Please indicate you require a “just legals” basic wedding package. This has limited inclusions. I’m also pleased to assist you in the application for a Marriage Certificate from Queensland Births Deaths and Marriages. As at 1 September 2017 the fee for the standard certificate is $48.20 plus postage. 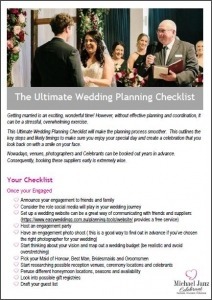 As a Marriage Celebrant it is my role to ensure your intentions for the wedding ceremony are realised … exceeded. 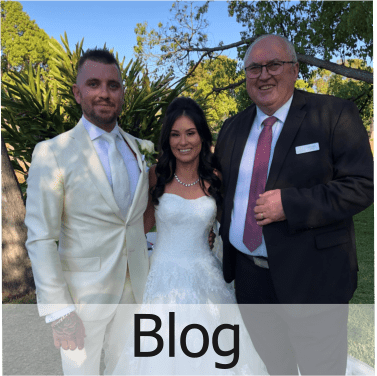 Firstly it is the celebrant’s responsibility to work with you to put together a ceremony that will live in your memories for all the right reasons. Apart from meeting the obligations under the Marriage Act 1961, the content of the marriage ceremony is totally your choice. At the first meeting I will explain the legal obligations. evidence of any divorce or death of a party’s spouse (if applicable). I will explain all legal documentation to you, including the Notice of Intended Marriage form (‘the NOIM’) and the Declaration of No Legal Impediment to Marriage (‘the Declaration’). The NOIM must be completed no earlier than 18 months and no later than one month before the date of the marriage. The Declaration is usually signed closer to your ceremony date (for example, this will be done at a rehearsal approx. 2 weeks before your ceremony). To help, I’ll provide you with a range of sample ceremonies and verses that can chose from. You may already have exactly what you want. If that’s the case, that’s great! I will ensure it meets the obligations of the Marriage Celebrant under the Marriage Act. We’ll also discuss the involvement of others, families, friends your witnesses. I can help with incorporation of readings, music, special rituals whatever ensures that your intentions become a special reality. At the final stages of the ceremony you will be required to sign the Marriage Register and Marriage Certificates, together with two witnesses over the age of eighteen and the Marriage Celebrant. You will be presented with your Marriage Certificate and a complimentary copy of your marriage ceremony. I will ensure that your documentation is sent to Births, Deaths and Marriages by Express Post.